We introduce Rental Process and choosing how to return. Upon arriving at the store, please complete the reception sheet. Please choose your favorite Kimono from our collection. 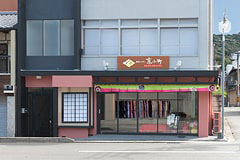 Our professional staff will help you wearing kimono. Our hair stylist will arrange your hair to Japanese style. We have many hair style photos so you can choose your favorite hair style. Please enjoy sightseeing and shopping in Kyoto in Kimono. There are many famous sightseeing spots around our shop such as Yasaka-jinja Shrine, Kodaiji Temple, Yasaka-no-to pagoda, and Kiyomizu-dera Temple. Please come back before 6:30 pm. Next day return plan and Hotel return plan are available as an option. Please come back before 6:30 pm. ※On event days (July 15th, 16th and August 16th): Please come back before 9 pm. Please come back before 4 pm on the next day of rental. Those who are taking this plan need to pay 10,000 yen for deposit. We will return 10,000 yen on the day of return. You can go back to the hotel in wearing Kimono and return everything to the front desk. Please return Kimono and other things to the front desk before 10 am on the next day. We will deliver all your personal belongings you left in the store to the hotel at 8 pm on the rental day. ※You might not select this plan in case of overbooking or high season. 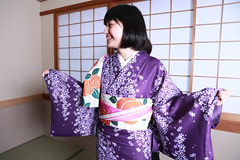 ※If only one person renting Kimono, optional price will be 2,000 yen (+TAX) .